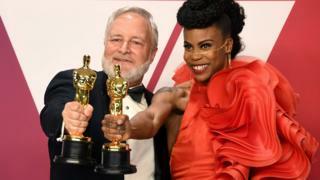 The Oscars is the biggest night of the year in Hollywood - and the 91st Academy Award show was a star-studded event. Actors, actresses, directors, animators, costume designers, composers - all were gathered for the awards last night. And there were some big surprises - from super superhero awards, show-stopping red carpet looks and fluffy scrunchies! 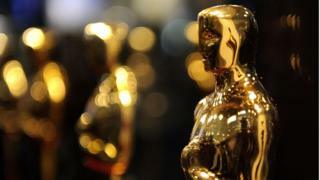 Check out our list of top five things you need to know from the Oscars. There were big superhero wins for Black Panther and animation - Spiderman: Into the Spiderverse! 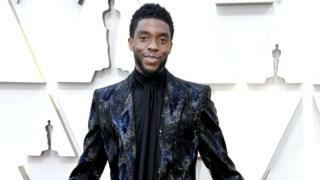 Black Panther star, Chadwick Boseman, turned up to the event in a shimmering black and blue jacket. 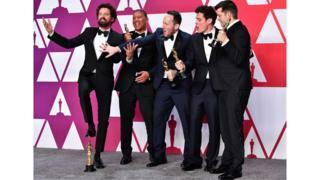 The team behind Spiderman: Into the Spiderverse celebrate their win for Best Animated Feature. Black Panther won awards for Best Original Score, Best Costume Design and Best Production Design. Here, production designers Hannah Beachler and Jay Hart celebrate their big win. It was a group of unexpected, but happy, wins - with no clear favourites ahead of the awards show. British actress Olivia Colman won the award for Best Actress, beating seven-time nominee Glenn Close. Rami Malek won Best Actor for his role as Freddie Mercury in Bohemian Rhapsody. 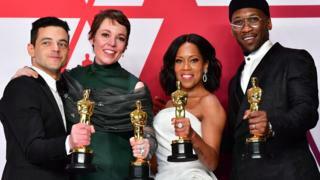 Regina King won Best Supporting Actress for her performance in If Beale Street Could Talk, and Mahershala Ali scooped up the award for Best Supporting Actor in Green Book. 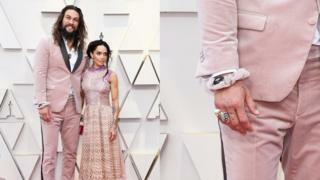 Jason Momoa - yes, Aquaman - and wife Lisa Bonet wore matching outfits... and Jason takes his look even further, pairing a hair scrunchy in THE SAME FABRIC. Jason - you truly do have hair goals we can only dream of. 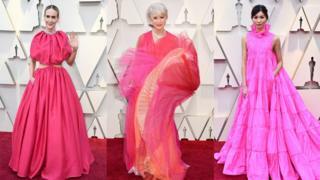 Other rosy robes were worn by Sarah Paulson, Helen Mirren and Gemma Chan. 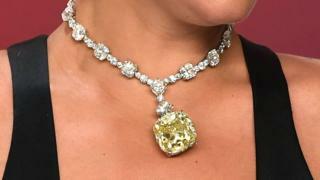 ...it was this massive diamond, known as The Tiffany Diamond, which is reportedly worth $30 million dollars! The diamond was last worn in public by Hollywood legend, Audrey Hepburn. 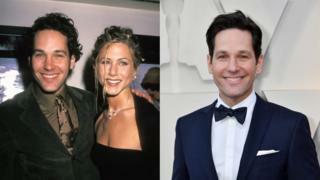 And the final surprise of the night... it turns out that Paul Rudd is taking some magic potion to stop himself from aging. OK - we can't prove he's taking magic potion, but here is the actor more than twenty years apart and can you see much of a difference?